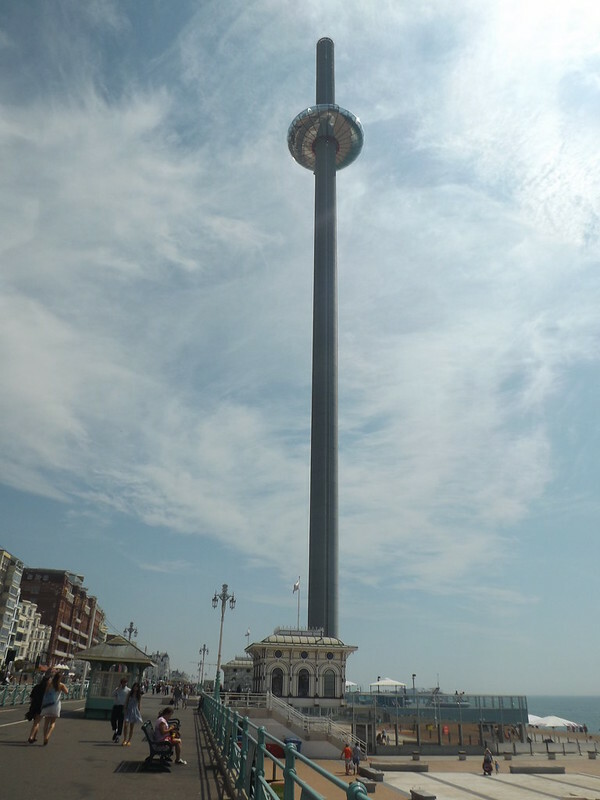 "British Airways i360 is a 162-metre (531 ft) observation tower on the seafront of Brighton, East Sussex, England at the landward end of the former West Pier. The tower opened on 4 August 2016. From the fully enclosed viewing pod, visitors experience 360-degree views across Brighton, the South Downs, the English Channel and on the clearest days it is possible to see Beachy Head 17 miles (27 km) to the east and the Isle of Wight 49 miles (79 km) to the west. Image published by young shanahan on 2018-08-11 19:30:16 and used under Creative Commons license.